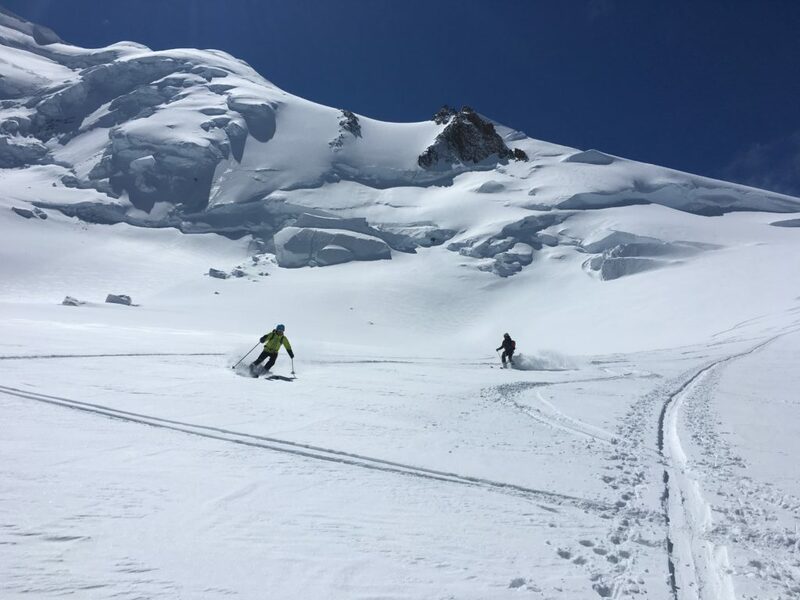 A big training outing with Jon and Carron yesterday on the Grand Mulet route on Mont Blanc. We started from the Plan d’Aiguille station on the Aiguille du Midi lift and turned around at the Vallot refuge (at around 4300m). The legs, lungs and head were feeling the altitude and ascent. 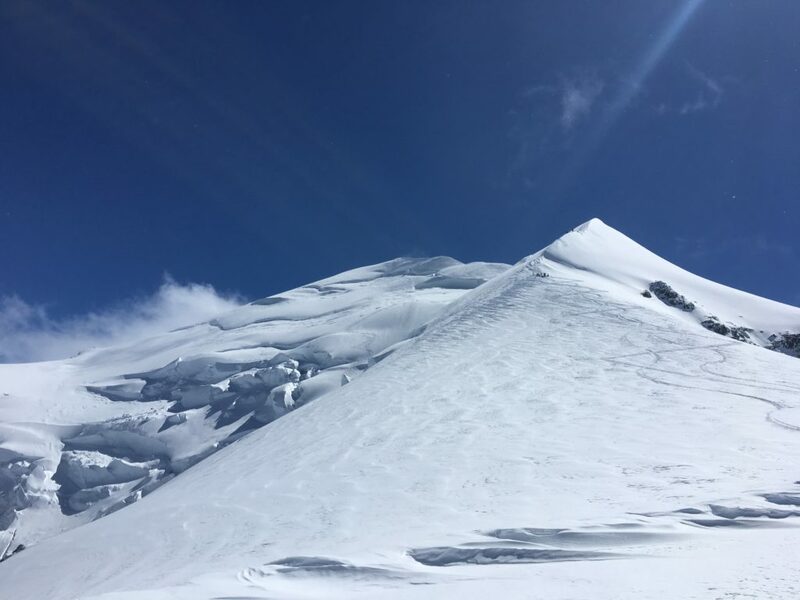 There were teams just coming down the ridge to the Vallot who had started from the hut, and we saw the team make a descent of the north face from the summit, probably the first of the season. It looked like quite a committing descent yesterday with a steep and icy section just before the base of the face that looked tricky. And probably worth a rope, although they skied through with some sketchy sounding side slipping. 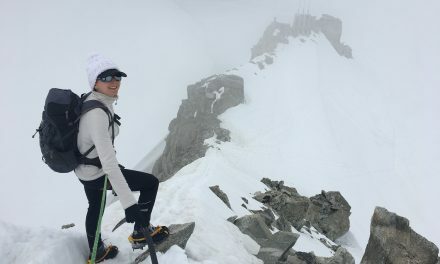 No one had gone up via the north arete of the Dome du Gouter, but up via the plateau route and therefore under the seracs. Hard to know exactly how good the north arete would be. 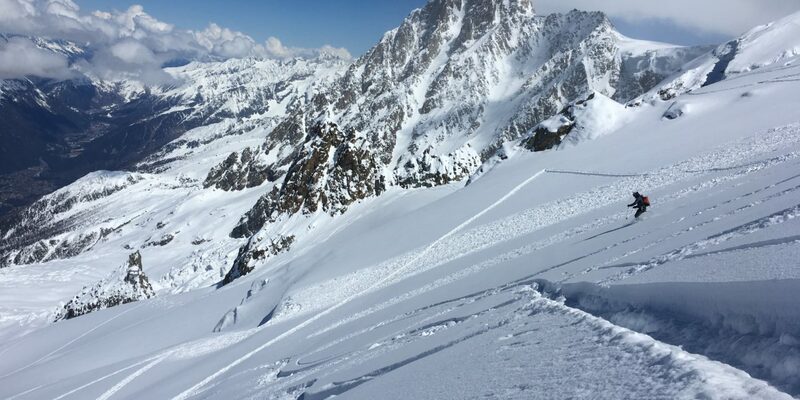 There’s certainly powder sitting on hard ice on many parst of the route, especially below the Vallot refuge and perhaps the north arete is the same. Great snow on the descent. Cold powder and barely a track. 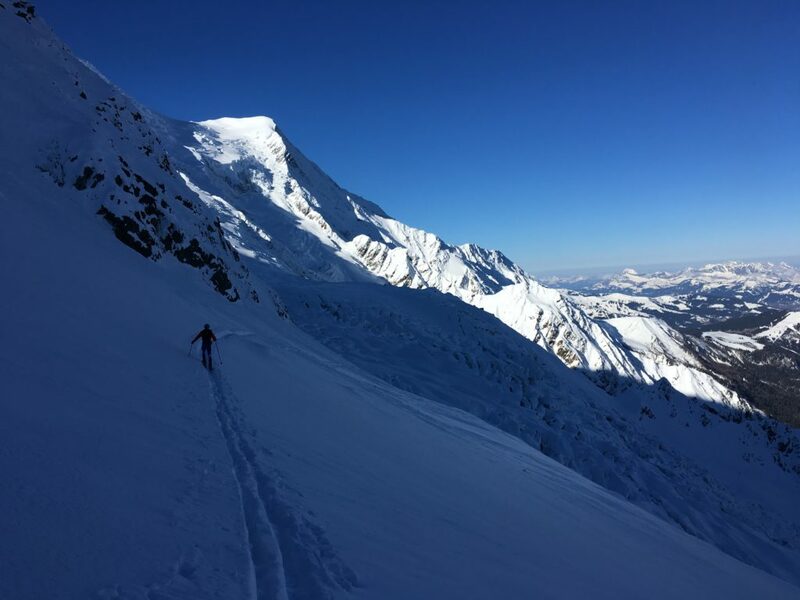 So good to ski a route like that in those conditions. A superb day! 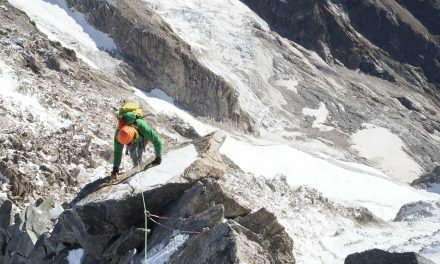 Carron skinning underneath the north face of the midi, on route to the Jonction. Looking up the Bosses ridge from the Vallot refuge. On the plateau, north face of Mont Blanc in the background. 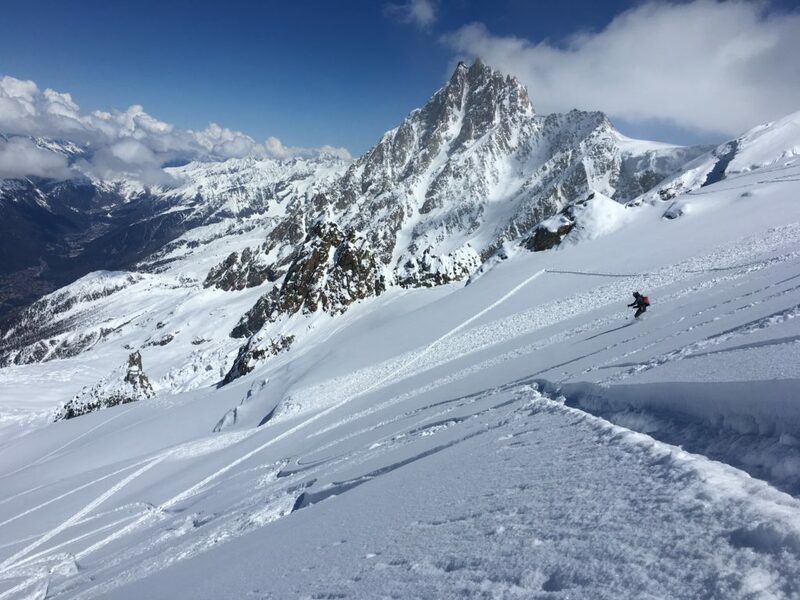 Jon skiing the Grand Mulet route, Mont Blanc. Aiguille du midi in the background. End of the Ski season?